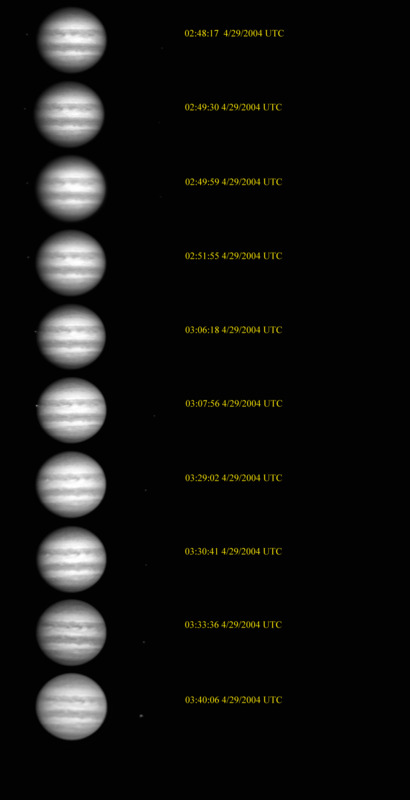 A sequence of processed frames of Jupiter using the new camera I have on loan. Seeing was really bad. I could not see any details in the bands which is a good indicator seeing is not good. Io is transitting in front of Jupiter. I did notice I could see the moons much better in the raw frames from this camera versus the Toucam.